YubiTip: Always have a backup security key. If you misplace one, you’ll be able to effortlessly access your accounts with a backup. No additional software is required and authentication is easy, fast, and reliable. Simply insert the Security Key NFC into a USB-A slot and authenticate with a simple touch. It is strong first or second factor authentication that does not require a battery nor network connectivity so it is always on and accessible. 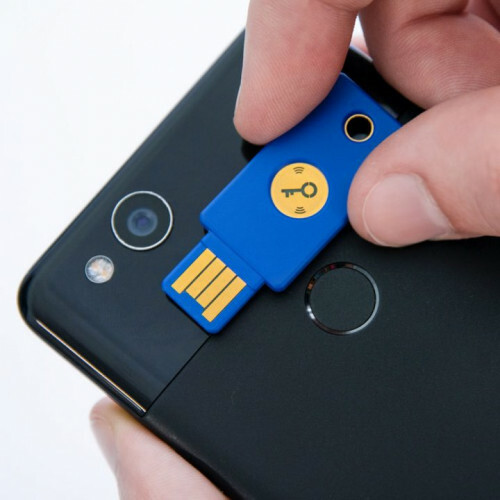 The Security Key NFC offers superior security by combining hardware-based authentication and public key cryptography to effectively defend against phishing attacks and eliminate account takeovers. It offers FIDO2 and U2F support giving users not only two-factor authentication, but also support for single factor passwordless login and multi-factor authentication in conjunction with user touch and PIN . 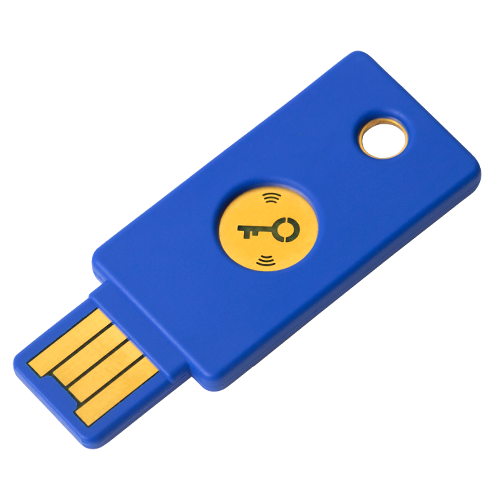 The Security Key by Yubico Series helps organizations accelerate to a passwordless future by providing support for the FIDO2 protocol. FIDO2 supports not only today’s two-factor authentication but also paves the way for eliminating weak password authentication, with strong single factor hardware-based authentication. The Security Key NFC provides a simple and intuitive authentication experience that users won’t find too difficult or cumbersome ensuring adoption and organizational security. With authentication speeds up to 4X faster than OTP or SMS based authentication, Security Keys provide the simplest and most reliable user experience which does not require a battery or network connectivity making authentication always accessible. The Security Key NFC ease of use and reliability are proven to reduce password support incidents by 92%. This was documented in a research paper by Google in rollout to more than 70 countries. Deployments are faster and cost less with the Yubico’s industry leading support for numerous protocols, systems and services. 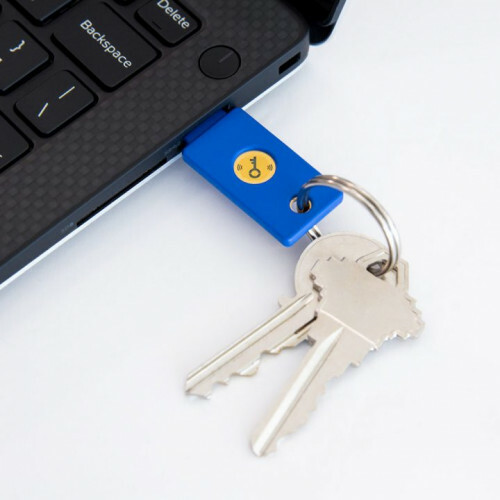 Yubico’s series of security keys are the trusted secure authentication choice for the largest technology, finance, and retail companies in the world. This includes 9 of the top 10 technology companies, 4 of the top 10 US banks, and 2 of the top 3 global retailers. 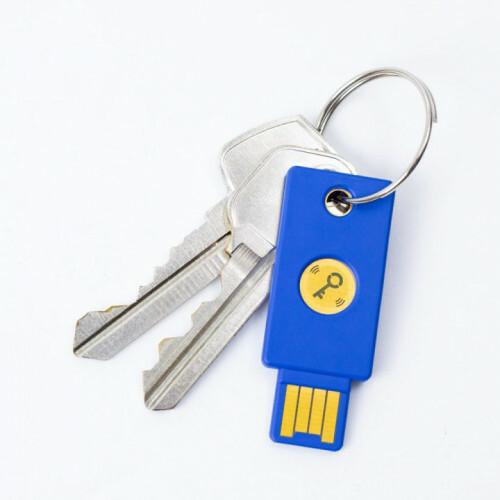 Companies including Google, Facebook, Salesforce and thousands more trust Yubico to protect account access to computers, networks and online services. For USB-A ports Supports U2F and FIDO2 Crush-r.. 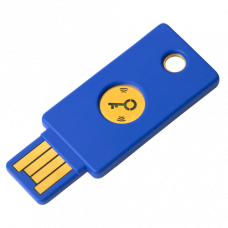 The YubiKey 5 NFC is a hardware based authenti..